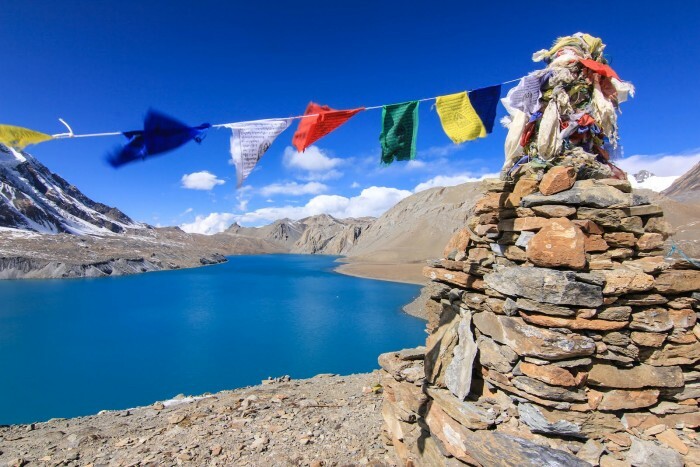 Tilicho Lake 5,200m collects the glacial melt of the entire northern slopes of Annapurna and the Thorong Peak. It is claimed to be the highest lake in the world. This trek starts right from Besisahar and goes along the Marshyangdi River, with great views of Manaslu and Himal Chuli to the east. This magnificent trek leads you to the fine villages inhabited by a wide diversity of people from different ethnic groups, offering spectacular and majestic views of the white Himalayas. We have customized this route as it is basically the same as Annapurna Circuit, from Manang instead of taking the valley north to Tanki Manang and Yak Kharka this route goes to the main valley to the west passes through the Khanshar Village (The Last Village of Nepal) and trek up to Tilicho lake, then we travel to Yak Kharka then up to pass of Thorung La at elevation of 5,416m. From the pass of the Thorung La the treks lead down to Muktinath then to Jomsom from where 35-minute scenic flight takes you to Pokhara. Services of our qualified trek guide and porters. After breakfast, drive to Besishahar. After reaching Besisahar, visit Local village. Overnight at Besisahar. After breakfast, we will drive to Chamje via Jeep Tracks. Overnight at Chamje. Our day begins with the rocky trail following Marsyandi River steadily uphill to Tal at 1,675m, the first village in Manang district. We make a trail verse crossing a wide, flat valley. The journey continues up and down to Dharapani at 1,890 m. A stone entrance chorten typical of the Tibetan influenced villages. Upon reaching Bagarchhap at 2,160 m the typical flat roofed stone houses of local Tibetans can be seen along with the village surrounded by apple Orchards and maize fields. Overnight at Bagarchhap. The trail climbs to Tyanja at 2,360m, then continuing through forest, but near the river to Kopar at 2,590m. As we reach Chame, the headquarters of the Manang district, we are rewarded by the fine views of Annapurna II and two small hot springs by the town. 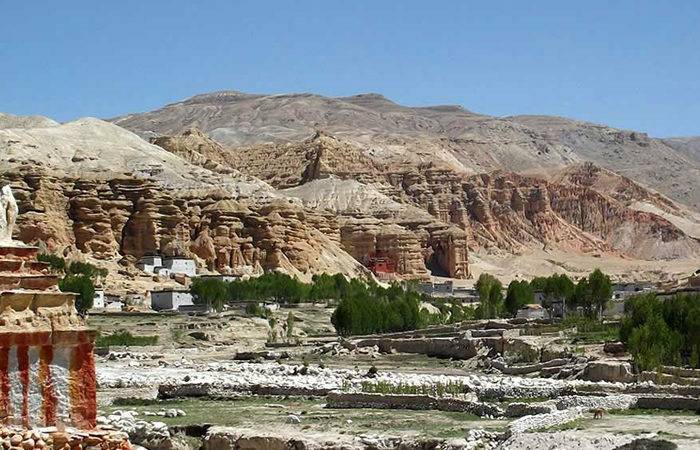 Along this route we are introduced to a local community of which the residents are said to have migrated from Tibet centuries ago, noticeable by their distinct physical features and lifestyle as well as architecture and livelihood unique to Tibet. Overnight at Chame. Today we continue through the drier upper part of Manang district, cut off from the full effect of the monsoon by the Annapurna Range. People of this region herd Yaks and raise crops for a part of the year. Leaving Pisang, we have alternate trails form the north and south of the Marsyangdi River which meets up again at Mungji. The southern route by Humde, with its airstrip at 3,325m, involves less climbing than the northern route via Ghyaru, though there are better views on the trail that follows the northern bank of the river. From Mungji, the trail continues past the picturesque but partially hidden village of Braga at 3,475m to the nearby Manang at 3,540m. Overnight at Manang. We spend a day acclimatizing in Manang. The whole day we spend doing some fine day walks and viewing the magnificent sights around the village. Overnight at Manang. Continue from Khangsar on a large path, passing a Gompa (monastery). The route ahead goes on a recently constructed path up towards a high ridge. At one point is an intersection. One path maintains the altitude, traversing the slope towards a place where the valley is narrow; the other continues to ascend towards the line of the ridge. The former is the old path, and is much more difficult as it goes on really steep screed; the latter is the new path that goes a completely different way. Continue along the new path, reach a high crest, and descend on switch backs carved out through the screed slopes to a side valley of the main valley. At its bottom is a brook and on the other side of it is a building known as the Tilicho Base Camp at elevation of 4,200m. Overnight at Tilicho base camp. Our journey starts early in the morning at around 6am to avoid the wind. 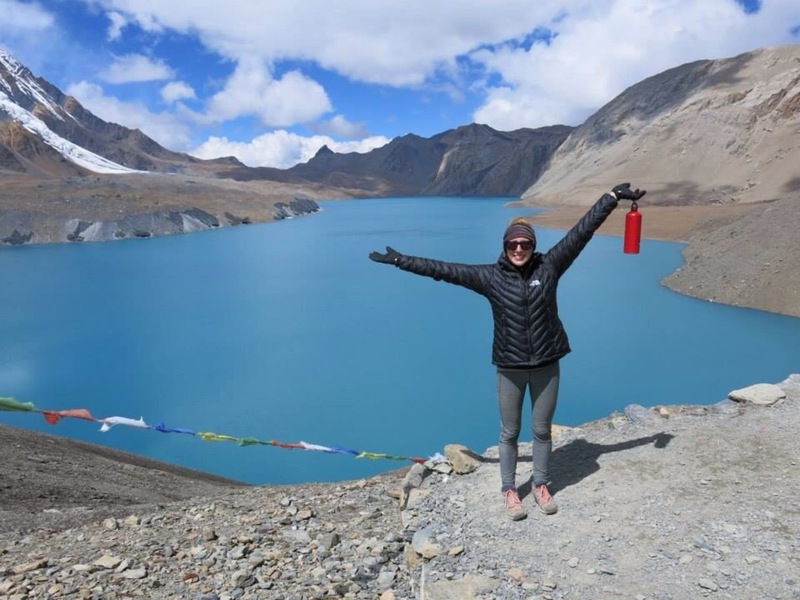 It takes another 3-4 hours from the Base camp to Tilicho Lake. Tilicho Lake is a cold barren place in the afternoon and claimed as highest lake in the world. After we spend some time around Tilicho Lake we will return same way back to Base Camp as there are no accommodation facilities around Tilicho Lake. Overnight at Tilicho base camp. Continuing on from Manang, the trail ascends by nearly 500m to Yak Kharka. We make the climb steadily through Tenki Manang, leaving the Marsyangi Valley. Continuing along the Jarsang Khola Valley, we reach Yak Kharka at 4,000m. Herds of yaks and vegetations appear to thin out. Overnight at Yak Kharka. After a two-hour ascent the trail descends to cross the river at 4,310m. We then climb up to Thorong Phedi at 4,450m where decent guesthouses have been built in the recent years. Overnight at Thorong phedi. 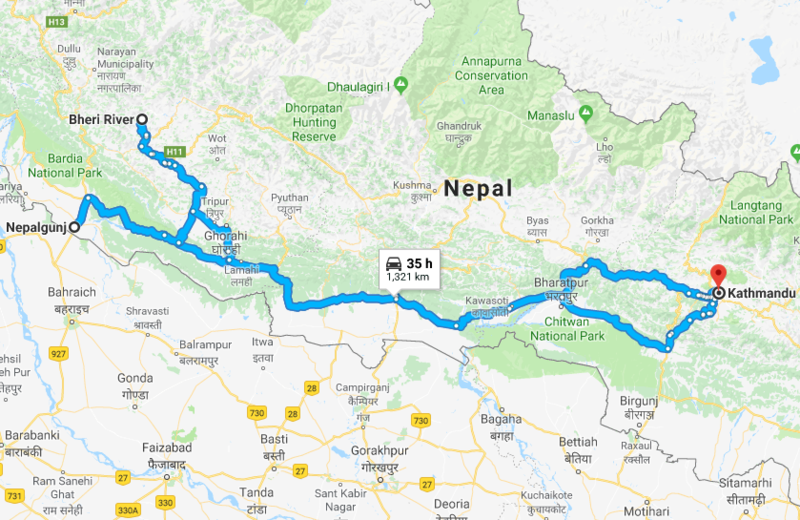 Today is a long trek starting before sunrise at 4 am to reach the pass by 9-10am, otherwise weather conditions (strong winds) will greatly affect the journey, particularly at the Thorung-La Pass (5,416m). We climb steeply on a regular route which is quite easy to follow. However, some problem may arise due to the altitude and snow. There are often problems to cross the pass if it is covered by heavy snow. About four hours climb up to the pass marked by the chortens and prayer flags will reward you with stunning view from the top of the pass. 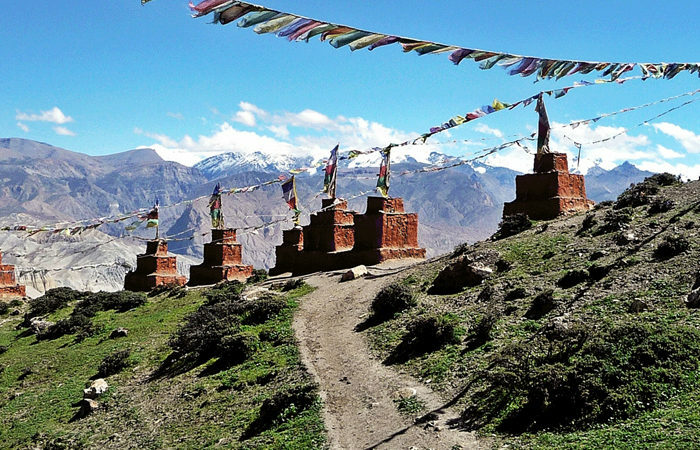 Another four hour of walking will take you to the holy town of Muktinath. Muktinath means place of Nirvana and is home to the Muktinath temple as well as several monasteries. It is said that all sorrows you feel are relieved when visiting the Temple, which is a scared pilgrimage site for both Hindus and Buddhists. The prime pilgrimage month is September. The Temple is dedicated to Lord Vishnu and has 108 waterspouts around it. Another attraction nearby is the Jwala Mai Temple which has a gorgeous natural spring and an eternal flame fueled by natural gas. Overnight at Muktinath. We head along the trail down to the Eklebhatti, and then follow the Kaligandaki River to Jomsom. Jomsom is a large town with many facilities, which is the headquarter and official town for Mustang district where all the district government offices are present. Overnight at Jomsom. Day 15Morning flight to Pokhara - 30 mins. An Early morning flight takes us to Pokhara from Jomsom.